Union Minister of State for Tourism, K J Alphons on Wednesday was all in praises for Nagaland saying that it was ‘God’s own paradise’. 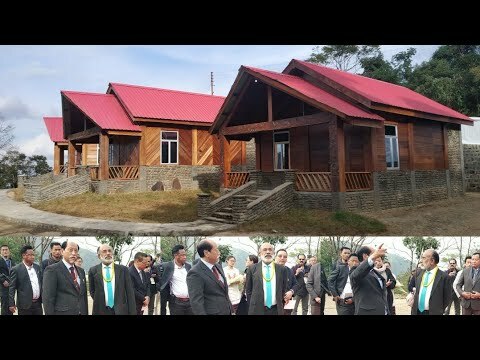 Inaugurating the Rhododendron Resort in Kohima Alphons also said the hospitality he found in Nagaland could not be found anywhere in the world. The Union Minister disclosed that the Rhododendron Resort was constructed with an investment of Rs 97 crore from the Rs 197 crore sanctioned by the Central Government for two tourism projects in the State. The resort was commissioned by the Central Tourism Department under the Swadesh Darshan Scheme. Rhododendron Resort is located in the forests of the village and located above Kisama. The inauguration programme was also attended by State Chief Minister Neiphiu Rio and other officials. Later, attending the fifth day of the 10-day ongoing Hornbill Festival, Alphons said he spoke with Union Civil Aviation Minister Suresh Prabhu seeking helicopter services from Guwahati to Dimapur, Dimapur to Kohima, Kohima to Imphal and Imphal to Guwahati. He said the project cost or losses incurred would be borne by the Union Tourism Ministry. While stressing that tourism was the future for the Northeast, including Nagaland, Alphons said Government of India had sanctioned about Rs 1,351 crore for the region, which would be the ‘window of the east and primary focus of the Look East’. 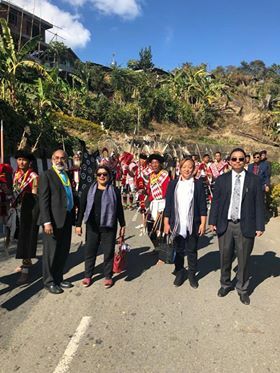 He also said Hornbill Festival was the best in the world and that it would be further promoted in the global map to ensure that millions of people attended the festival in the next five years. Meanwhile, the fifth day of the festival was hosted by school education adviser K T Sukhalu, while director general of National Institute of Rural Development and Panchayat Raj under the Union Ministry of Rural Development, W R Reddy was the special guest.